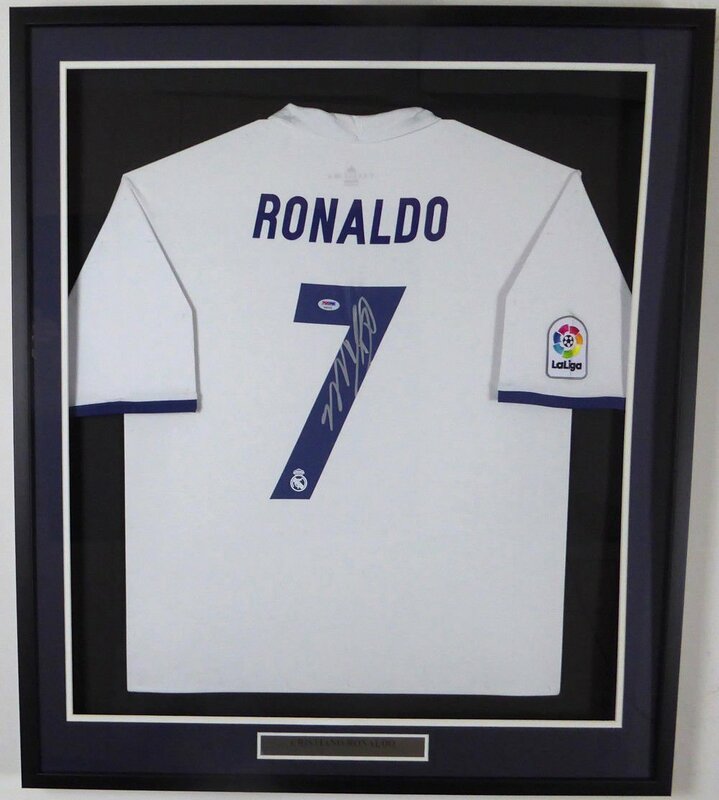 You are viewing an authentic Framed Adidas Real Madrid Jersey that has been signed by Cristiano Ronaldo. It has been authenticated by PSA/DNA and comes with their sticker and Certificate of Authenticity. Frame measures 31x36. In Mint Condition.